Complex Networks and Global Citizen have released Louder Together: A Global Citizen Documentary; New York to Mumbai – the two-part special focusing on the groundbreaking advocacy work done by Global Citizen to end extreme poverty – on the free streaming video service go90. The Global Citizen Festival is a moment for music fans and activists to hold world leaders accountable for their commitment towards ending poverty. This documentary gives fans an unprecedented look at the performances and features intimate conversations with the artists filmed during the 2016 Global Citizen Festival in New York and the first Global Citizen Festival India in Mumbai. Narrated by Hugh Jackman, Louder Together features performances by Rihanna, Kendrick Lamar, Metallica, Jay-Z, Demi Lovato, Ellie Goulding, Usher, Coldplay, Eddie Vedder, Major Lazer, and Yusuf / Cat Stevens, Ranveer Singh, AR Rahman, and more. Additional appearances by Forest Whitaker, Bridget Moynahan, Olivia Wilde, Ashok Amritraj, and Indian Member of Parliament Poonam Mahajan. Leading up to the 2016 Global Citizen Festival in New York City, 1.3 million individual actions garnered $1.9 billion in total commitments and announcements from world leaders to support campaigns with a focus on gender equality, education, and sanitation. The documentary follows as the Global Citizen Festival expands its international reach with its first-ever event in Mumbai, India. During the inaugural Global Citizen Festival India, 25 on-stage commitments and announcements totaling $5.9 billion were made to ensure basic educational needs were met, improve water and sanitation methods and promote gender equality programs set to affect 503 million lives throughout the country by the year 2030. 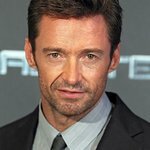 Ryan Gall and Marcus Haney directed the project, which was executive produced by Hugh Jackman, Ashok Amritraj, Hugh Evans, Craig Galvin, Kweku Mandela and Eric Ortner. Louder Together was produced by Ryan Gall and Matthew Macdonald-Turner and associate produced by Katie Hill, Andrew Kirk, Priya Amritraj, and Addison Mehr. Davide Beame served as event director. The film is presented by Global Citizen and Hyde Park Entertainment, produced in association with Riot House.